What Are You Obligated To Disclose When Selling Your Home? Buyer Beware” does not apply when it comes to real estate! There’s that little stain on the ceiling in the downstairs bedroom that was caused a few years back when a pipe in the upstairs bathroom leaked. It’s fixed, but still, the stain is there. The roof looks good, and it only leaks…a little…when it rains really, really hard and for a long time. The last time it leaked was during the big storms we had back in 2005. We sealed the leak, and we don’t think it’s leaked since. We noticed something weird with some of the rafters in the attic a few months back. A pest control company determined that termites had infested the area. We were able to afford the extermination, but not the repairs for the damage the termites caused. If you’re selling your home, which of the three scenarios above do you believe you should disclose to your buyer? The answer is (Drumroll, please)…All of the above! Yes, a seller must disclose ANY AND ALL issues that may affect the sale of their home. In the case of the stained ceiling, it’s pretty obvious that a buyer may see it. If not the buyer, then the home inspector (Provided the buyer does not waive the right to an inspection). Even still, if it goes unnoticed until after escrow closes, the buyer may not know that the issue has been repaired. This is something that can come back to haunt the seller. The other two examples are situations where some sellers may hope they “get away with” not disclosing. After all, wouldn’t it be a lot easier (And cheaper) to NOT disclose these issues rather than deal with either spending the money to get them fixed, or offering a rebate at closing to the buyer? 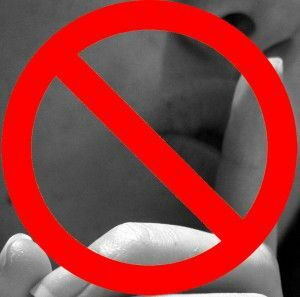 Full disclosure is the law, with consequences that can have a lasting (and financial) impact on a seller who decides to keep known defects a secret. So what happens if a seller DOESN’T know that issues exist? This does happen. Let’s change up the last two scenarios a bit. Perhaps the roof leaked after the last big rain storm, but it only leaked in the attic in an area where the main living areas weren’t affected? The termite issue? Let’s change it up to say the seller never went into the attic, and never saw the damage? This is why the buyer is allowed to fully inspect the home, which includes the ability (at their own expense) to hire a licensed contractor or home inspector to make a full and complete inspection of the home, where these issues may be noted. From there, the buyer and seller can negotiate terms to address the issues, or each has the choice of cancelling the purchase contract. Your real estate agent is not off the hook in this case. The listing agent is obliged to make his or her own visual inspection of the property and note any visual defects or issues that may affect the sale of the home. Now, the agent does not have to climb onto the roof, or crawl into the attic or under the floor, nor do they have to perform any task they are not qualified or physically able to do. Why is full disclosure so important? In a real property transaction, Fair Market Value is at play. Not only is full disclosure the law, it’s also the right thing to do. Unaddressed defects and issues can affect a home’s property value. Knowingly selling a home with defects that can affect the final price is tantamount to deception, or in the worst case, fraud. Disclosure protects your interests as well as the buyer’s, and insures you’ll be able to close escrow with everything out in the open.